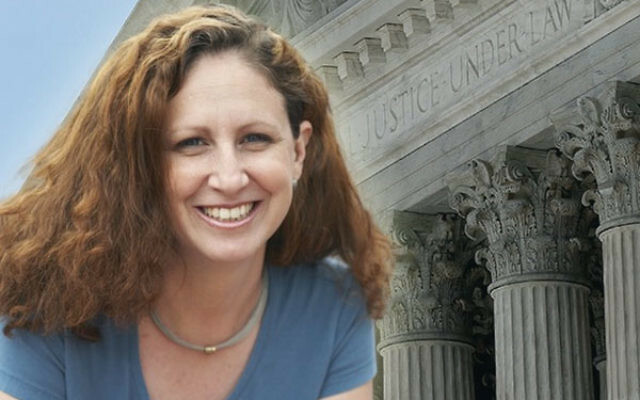 Although Dahlia Lithwick has a law degree from Stanford University, experience as a clerk for a federal judge, and several years as a practicing attorney in a family law firm, she has turned her career focus to legal journalism. “I felt for me, law was a bad fit,” she told NJ Jewish News in an Oct. 7 phone interview. For the past few years Lithwick has been a contributing editor at Newsweek and senior editor at Slate, with frequent appearances in The New York Times, Harper’s, The New Yorker, The Washington Post, and Commentary and guest shots on National Public Radio, MSNBC, and CNN. 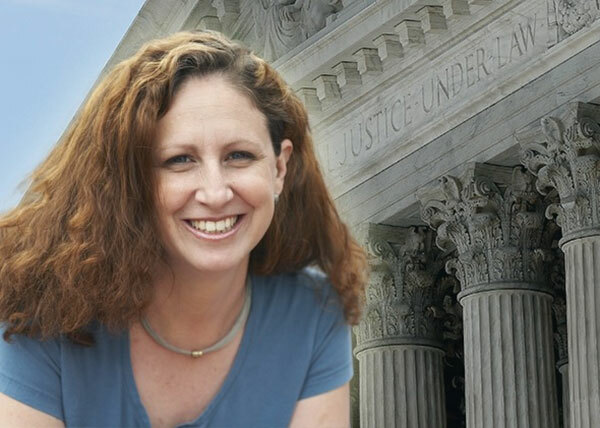 A native of Ottawa, Canada, who had a Conservative Jewish upbringing, Lithwick resides in Charlottesville, Va.
She discussed the high court and the upcoming presidential elections with NJJN. NJJN: Is there any doubt that the Supreme Court matters? Lithwick: This is an interesting moment in history. We’ve seen an unprecedented obstruction of a Supreme Court nominee, a 4-4 court that has been hamstrung, and a voting public that just doesn’t care. The name of Merrick Garland, President Obama’s nominee, was mentioned zero times at the Democratic National Convention and the GOP convention. NJJN: Are you suggesting that if Hillary Clinton is elected president she might not nominate Garland? Lithwick: That's the question everybody is asking in Washington. We may see Garland confirmed in a lame duck congressional session before she takes office because everyone is wondering whether she may withdraw him and put up someone who is much more liberal. Clinton has been asked directly about Garland several times, and she has been really cagey about it. NJJN: You have said the four-four court has been stalemated, but haven't they let stand several important lower-court decisions? Lithwick: Yes, and I would say the most consequential was Obama's executive action on immigration, which would have protected up to five million undocumented immigrants from deportation. But whenever the Supreme Court deadlocks, there will be one decision in one jurisdiction and no decision for other jurisdictions. These matters have to be resolved by a nine-member court for the entire country. NJJN: What do you make of the conservative argument that “activist judges on the Left” have determined political policy and circumvented the will of Congress? Lithwick: The label “activist judges” was deftly manipulated by conservatives to suggest that only liberals do it, but if you are pushing forth a view that more or less gutted the Voting Rights Act, of course that is completely activist, too. The taint of activism cuts both ways. NJJN: How do think the Supreme Court will change if Donald Trump is elected president? Lithwick: He has put forth a list of possible selections. They are all very very conservative, pro-life, and anti-affirmative action. I think there is no doubt that it would be the most conservative court we have ever seen. It would be an unmitigated disaster for the country. He wants to reverse Roe v. Wade. Trump has talked about gutting the First Amendment and eviscerating the rights of the press that have been established for centuries in this country. He has talked about reinstating torture. He wants a national stop-and-frisk plan. He would systemically dismantle constitutional protections as we know them. One worries that Trump either doesn't understand the Constitution or doesn’t care about it. He is on a collision course with established jurisprudence — and that scares me. NJJN: Could the Supreme Court’s voting rights decision enable Trump to win by disqualifying minority voters in many places? Lithwick: One lower court after another has struck down state voter ID laws since that Supreme Court decision, but we’ve seen the state apparatus working to maintain their laws. They have been told, ‘You simply can’t suppress minority voting,’ but they are doing it anyway. NJJN: Will the next president’s appointees to the Supreme Court finally seal the fate of Roe v. Wade? Lithwick: Last spring a big Texas abortion case came before the court and was decided five-three. This was the first decision that we have seen since Roe that absolutely affirmed the principle that states should not go passing laws that claim to protect women's health but are in fact just trying to halt abortions. The decision was a real back-of-the-hand to states that are trying to drip, drip, drip regulate abortion out of existence. Roe is out of the ashes and on firmer constitutional footing now than it has been in 20 years. NJJN: Are you optimistic about the future of the country? Lithwick: I am affirmatively worried. I think when I look at some of the things the Supreme Court did last year — that they definitively upheld a woman’s right to choose, that they upheld affirmative action — a lot of really good things happened. I think we have tremendous judges. My worry is that there is going to be lawlessness in a Trump administration and complete disregard for not just domestic law but the Geneva Conventions. Those things scare me. At the end of the day it doesn't matter how many liberals are on a court if you have a president who doesn't believe in the rule of law.